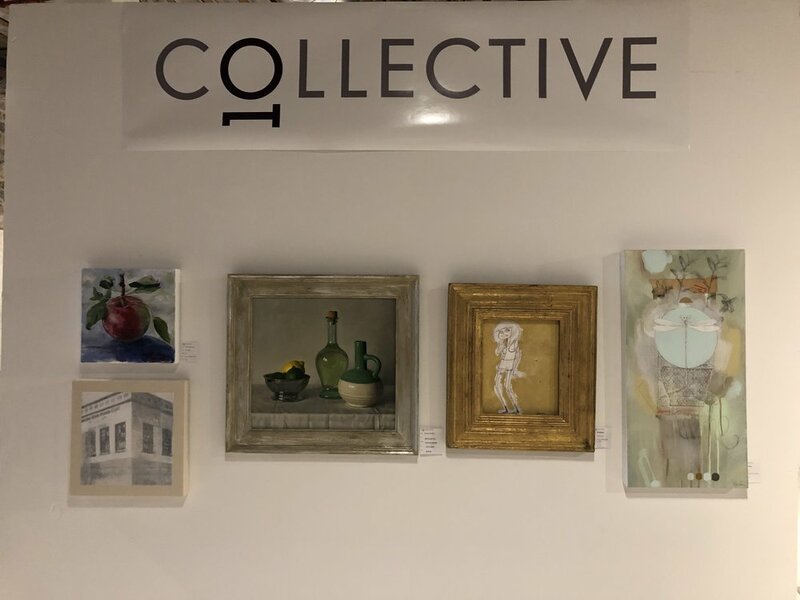 In 2018 The Ten Collective welcomed 1200 people on Easter weekend. This year on April 6 & 7 more than 1600 people attended the show. Friends, family, and visitors from Ottawa, Montreal and Toronto, came to see the artwork they’ve been hearing about since January. Once again The Ten Collective artists were overwhelmed with the support and interest in their work. By the end of the two days the painting tags were covered in red dots! “Thank you to everyone who came to the show, to our commercial supporters, and to those who shared our event on social media, in their stores and businesses. • Click to watch a 10 minute walk through the entire show. • Click to watch a 2 minute video taken during the first hour we opened on Saturday.